Aktion Car Rental Airport in Preveza Greece. 100% The best – cheap – low cost offers for 2019! By PBG Limitless. 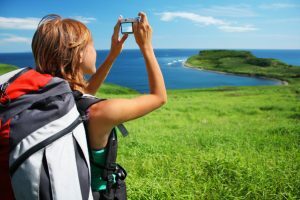 How you can find the cheapest car rental ?. With 30% Discount & Full insurance because you will book early ?. Look the top, PBG Limitless car rental we make the best & Cheaper car rental 100%. First of all, Are you looking the cheapest car rental but also you want to be 100% secure. that you will have full insurance and you will be covered 100% ?. then don’t look further, In PBG Limitless We understand better. your car rental needs. PBG Limitless we are tell you: Pay Much Less for your Car Rental at Aktion Airport of Preveza. with our Top rental Offers. Furthermore Get 30% Discount, Get 100% Full Insurance. Finally We are have the best car rental. for Aktion/Airport in Preveza Greece. Aktion Airport in Preveza (PVK, LGPZ) PBG Limitless Car Rental. Meet the Aktion Airport in Preveza Greece. all you need to know for your holiday trip & your car rental. Aktion National Airport (IATA: PVK, ICAO: LGPZ) is an airport serving Preveza and Lefkada in Greece. It is also known as Preveza Airport. The airport is also used by NATO and Hellenic Air Force Command. The airport commenced operations in 1968. There are 113 flights on 43 different routes. from Aktion National Airport, connecting PVK to 42 different cities in 18 different countries. **Also when you will be arrive at Aktion Airport in Preveza. PBG Limitless Car Rental is Waiting you at the arrivals hall. With inscription with your name. So, one more positive it that you will not waiting at the lines. but you will get VIP Service even when you book our cheapest car. amazing!. Be sure that we are give our best, every day in PBG Limitless. PBG Limitless Car Rental | Why you should book with us ?. Waiting time at the arrivals: 15 – 45 minutes VIP Service with no waiting for each customer. So, as a result Compare all the factors you can see. Make the test step by step, what is less expensive and better service, decide with the best terms. 100% clear 100% fair rental. we believe that there is not limits. for this reason we are the PBG Limitless and not one can be PBG Limitless. First of all, are you looking for Car Rental in Lefkada and also for Aktion Airport at Preveza ?. Find another Low cost prices for Car Rental. You have create this very best choice of rental. Get discounts due to Early Booking Rental by PBG Limitless Car & Scooter Rental Service. Today is more easy than ever to book a car rental. 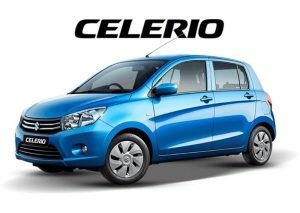 Every year so many people send us many emails for Cheap Car Rental, and our answer is: We always do a big discount if you reserve early, and for the reason that you do your reservation 3 or 6 months ago, a very big thank you from us is to give even more and probably more than any other rent a car in the area. So, not only you have 30% of price but also we give you free the Full Insurance, if your Rental car stolen or damaged. For the peace of the mind during the rental period! So, Don’t Worry! Put your seatbelts and you are ready to start your trip. Enjoy yours holidays at Lefkada! We start at 2007 our family business and we are believe strongly in families all over the world. We decide to make that very expensive category of rental a little bit cheaper. 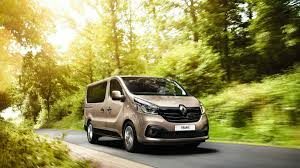 So, now is more easy to rent a van 7 or 9 seater to make a family holidays and even more Family Memories. Today it is more need than ever, at this rush life in the world large cities to enjoin even more with your family. Get a free day, for every weekly rental. Get also full insurance free for the peace of your mind. feel feel and enjoy your holidays in Greece. Finally Book from 3-6 months before and get even more benefits!. Situated at the mouth of the Ambracian Gulf, Preveza is linked to Epirus and the rest of the mainland by Greece’s first undersea tunnel. When you exit the tunnel, the city greets you with a smile. Sandwiched betwee n two bodies of water, the Ionian Sea and the Ambracian Gulf, Preveza will charm you with its lovely jetty, yacht-filled marina, dozens of restaurants and meze-bars, pedestrianised centre and stylish shops. Just outside town you’ll encounter Augustus, Antony and Cleopatra at ancient Nikopolis. After that, there are some 60km of beaches to explore in this corner of Epirus, from Preveza to Parga. You’re bound to have seen photographs of Lefkada’s world-renowned beaches. But when you arrive, you ’ll quickly realise that it is even better in real life. 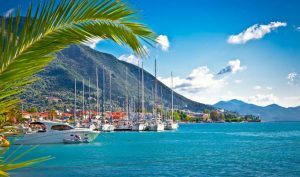 Lefkada – or Lefkas – is easily accessible, hospitable and lively – a recipe for the perfect summer holiday in the Ionian Sea. Kathisma, Egremni, Porto Katsiki – the most beautiful beaches in the Mediterranean – have won international acclaim and are awarded annually with Blue Flags. First of all you are do the best and also the cheapest rental. We have another benefits, Furthermore discount & free full insurance. Is Finally 100% better, in contrast with any other rent a car in the area. Because we are give our best every day. So, Many people every year Due to early booking Save more than 40%. For the reason that book early. So, Don’t look further. but go furthermore with us in PBG Limitless. Almost 41% the last year has book early. 99% has save even more. Book as soon as you can. 100% Full insurance as well as 30% Discount. Rather the best offers, is the early booking offers. I want the very best price for car rental & Full insurance where to find ?. Aktion Airport Car Rental , Low cost Rentals , Return in Home Page, Car Rental Page | Contact us!